This young male is maturing really well! He is by our tallest and stretchiest stud that is over 72" at the poll-RE Panda Bear. 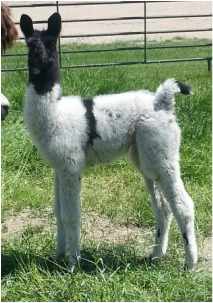 This cria is out of Blush...one of largest females and one of our foundation females in the Rebano Escondido lines. 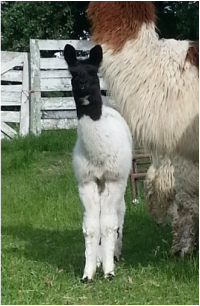 Her crias have always been the first ones to sell! All have sold before weaning or shortly after. This male is already getting quite big for his age and shows potential to be one big, impressive male!